Our website has been designed to allow direct printout of web pages which are in effect, our Specification Sheets. Some products have additional information available and links are provided on those product web pages. If you require anything further such as a copy of the manual, please do not hesitate to contact us. CellTap 4C™, interview-recording adapter connects between the headset and cell phone, providing stereo output to a recorder or mixer. Daptor Three connects to your mobile phone or laptop like any other Bluetooth enabled headset. It provides mono audio in and out via XLRs. It will also support the new wireless headphone standard, offering full audio bandwidth stereo via 3.5mm jack connections. Simply plug Daptor Two into the 2.5 mm headset jack of any wireless cell phone that accepts a third party headset or earpiece. You can now send and receive audio from your mixer or tape recorder through the cell phone. Perfect for converting from analog HD/SD component, NTSC, PAL or S-Video to SDI out with balanced jack AES/EBU and analog audio embedding. Digibox-D2A - Converts SD, HD, 3G and 6G-SDI to HD/SD component. Mini Converter SDI to Analog 4K includes everything you need to convert from SD, HD, 3G and 6G-SDI video to analog HD/SD component, NTSC and PAL video. The DLC055 provides flexible video inputs and outputs as well as distribution amplifier capabilities to the DigiLink DL4360x Chassis with Active Routing. The DLC103 is a flexible, cost-effective, bi-directional fiber optic transport module for for standard digital video formats. The DLC156 is an innovative, six channel TDM multiplexer for transporting uncompressed and compressed video over dark fiber or managed optical networks such as ROADM and OTN. DLC205 Gig-E Aggregator and Optical Transceiver enables users to aggregate 9 channels. The slave clocks in our ECO analogue series are dependable robust clocks with plastic cases. This multipurpose clock is designed for indoor use. Fiberlink® is an extensive collection of fibre-optic transmission products that support video, audio and data signals in useful combinations to minimize the number of fibres required. The range also includes an active optical distribution amplifiers, passive optical splitters and multiplexers, a modular rack system for multi-channel operation plus other useful fibre optic add-ons and accessories. Fiberlink® is an extensive collection of fibre-optic transmission products that support video, audio and data signals in useful combinations to minimize the number of fibres required. This part of the range sends professional analogue audio or RS-type / Ethernet data over single mode or multimode fibre. Fiberlink® is an extensive collection of fibre-optic transmission products that support video, audio and data signals in useful combinations to minimize the number of fibres required. This part of the range sends serial digital video (SD, HD and 3G) with or without digital audio and/or data over single mode or multimode fibre. Fiberlink® is an extensive collection of fibre-optic transmission products that support video, audio and data signals in useful combinations to minimize the number of fibres required. This part of the range sends DVI or VGA computer signals and audio with or without data over single mode or multimode fibre. Fiberlink® is an extensive collection of fibre-optic transmission products that support video, audio and data signals in useful combinations to minimize the number of fibres required. This part of the range sends composite video with or without audio and/or data over single mode or multimode fibre. Fiberlink® is an extensive collection of fibre-optic transmission products that support video, audio and data signals in useful combinations to minimize the number of fibres required. This part of the range sends component video or S-Video with audio over single mode or multimode fibre. FLX Clockbox is a highly-configurable timing and clock display solution consisting of any number of network-connected display screens and intuitive touch-screen control panels. All elements of the system are synchronized with each other and an external time reference over an existing computer network. LiveShot is an ultra-low latency 3G/4G/WiFi/Ethernet HD/SD Video Codec, using H.264 HIGH Profile and AAC-ELD for very low-delay / high quality video and audio. Its store-and-forward capability coupled with its comprehensive control make it ideal for live news, sports and outside broadcasts. The PBE-301R Receiver operates with either the PBE-301S single channel driver or the PBE316 multi-channel driver and provides baseband composite video and stereo audio for connection to a local television/monitor. The PBE-301S(C) driver transmits signals over CAT-5 cable to the PBE-301R receiver, which converts them to baseband video and stereo audio for display on a television/monitor. 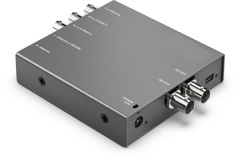 The PBE-303SR Balun operates with either itself an a sender, the PBE-301S single channel driver or the PBE316 multi-channel driver and provides baseband composite video and stereo audio for connection to a local television/monitor. The PBE-316 accepts 16 video and stereo audio sources for distribution to up to 12 PBE-301R receivers. Racks can be cascaded to provide additional destinations. The PBE-316 can also be configured for multi-channel point-to-point operation. The PBE-632 accepts 32 video and stereo audio sources for distribution to up to 12 PBE-301R receivers. Racks can be cascaded to provide additional destinations. The PBE-632 can also be configured for multi-channel point-to-point operation. Sends HD component with data + IR and audio distances upto about 150m (500 ft approx). Baluns for security cameras, video conferencing and other baseband video applications. Send Component Video signals on UTP at distances of up to 600 meters. Component video formats include RGB, YUV, YIQ and YCrCb. The PBE-930 VGA Video Balun Set allows computer video signals that adhere to the VGA/ SVGA/XVGA standards to be transmitted over Category 5 or better UTP wiring. The PBE-937-2 Active VGA Set, Dual Output is based on the solid foundation of our Passive VGA balun series. This first product in the Active VGA line allows signals to be sent from a computer over a single 4 pair UTP run at distances of over 100 meters. Send XGA plus audio on UTP/STP distances up to 100+ metres with splitter at sending end and dual outputs. Provides interface to allow the use of IP cameras over legacy coax installations. The PBE-SDI Serial Digital Video Media Converter is designed to run SMPTE 259M video signals over high performance UTP (Cat5e or better). Vortex portable power solutions are the ideal partner for our established range of outside broadcast equipment and codecs. They come in a range of capacities offering numerous output voltages to power ancillary equipment like the V3X Intelligent 3G Booster, mixers, recorders, laptops and phones for a truly mobile solution. The SCAN-DO/HD allows computer-generated content such as websites, online videos or computer games to be broadcast at a wide range of HD and SD resolutions. It incorporates extensive scaling, positioning and video processing functions. The SCAN-DO/SD is a broadcast-quality, standard-definition scan converter. The SCAN-DO/SD allows websites, videos, computer graphics, video games or any other computer-generated content, to be broadcast in standard-definition format. The slave clocks in our standard analogue series are dependable robust clocks with metal cases. This multipurpose clock is designed for indoor use. TimeLord-µNet - A small NTP Time Server with GPS and PoE. The TimeLord-µNet is a highly accurate, low cost and extremely compact universal NTP time server with GPS synchronisation and with PoE capability. This little device works with all NTP compatible devices including our very own FLX and V-400 series time displays and stopwatches. TimeLord-Net Reference-locked Master Clock System has all the features of the previous TimeLords but includes a 10/100BaseT Ethernet connection to allow time synchronisation across a network. The V-400 series clocks can be synchronised from many different external sources, including radio and satellite time signals, as well as various time codes and impulse signals. V-400 Series Timers - Stopwatch and Timing on a single display. A new range of digital clocks with either one or two built-in stopwatch / timers, housed in a single case. They are ideal anywhere timing can be critical and in any situation where having an ad-hoc timer available may be useful. The 401 range of electronic multi-function digital clocks and stopwatches provide a modern, precise and elegant display of time in hours, minutes and seconds using a bright red or green LED display. All V-401A, V-420A and V-490A series clocks may be programmed to function as a simple stopwatch controlled by two external voltage free switch contacts connected to the rear of the clock. The V-406 Temperature sensor can be used with any V-401A, V-420A, V-450A and V-490A series clock to provide either an alternating or continuous display of temperature information. The V-420 range of electronic multi-function digital clocks and stopwatches provide a modern, precise and elegant display of time in hours and minutes using a bright red or green LED display. The V-450 & V-460 ranges of multi-function electronic calendar clocks provide a modern, precise and elegant display of time and date using a bright red or green LED display. V-458 2-row and V-458-1 single row Countdown Displays are designed to focus attention on a forthcoming event such as a product launch. They also operate in count-up mode as "Event-Free" timers commonly used to indicate the successful elapsed time since a breach in safety or other adverse event. The V-470A series time zone display units have a wide range of user selectable operating modes and functions to meet almost every possible operational requirement. A V-470A series world time clock, with a bright red or green LED display, may be used as a stand-alone digital clock, a slave clock controlled by a wide range of signals or as a master clock. All V-400A series clocks can be programmed to synchronise to radio time code signals from DCF or MSF when connected to the appropriate Timelord series receiver. The V-488C.00 GPS receiver system is designed to allow TimeLord series master clocks and V-400A series displays to be automatically synchronised from the GPS satellite time transmissions. The V-490 range of multi-function electronic clocks is available with a red or green LED display and provides an analogue display of seconds. The V-50/RLT and V-50/RLI are part of our established range of versatile low-cost timecode products. The V-50/RLT can read RS-422 Serial Timecode and generate LTC Linear Timecode. The V-50/RLI can read LTC Linear Timecode and VITC Vertical Interval Timecode and generate RS-422 Serial Timecode. The V-50/TRG, V-50/TG and V-50/WG LTC Timecode Generator / Reader / Inserters are part of our established range of versatile low-cost timecode products. The V-50/TRG and V-50/TG can read and generate LTC Linear Timecode either from a preset time or jam-synched to the LTC timecode input plus generate timecode characters in vision for window dubs, used for tape logging. The V-50/WG reads LTC and displays on-screen characters but does not include a generator. The V-50/TVC reads SMPTE LTC time code and provides a video display of time and date, based on the time and user bit value and date from an internal clock/calendar. The V-50/TVC provides numerous time and date display formats and is an ideal video time/date display device for use a master SMPTE time code generator. The V-50/VG, V-50/AVG, V-50/VWG and V-50/VLT are part of our established range of versatile low-cost timecode products. The V-50/VG and V-50/AVG can read LTC Longitudinal Timecode and generate VITC Vertical Interval Timecode either from a preset time or jam-synched to the LTC timecode input plus generate timecode characters in vision for window dubs, used for tape logging. The V-50/VWG reads VITC and displays on-screen characters but does not include a generator. The V-50/VLT can read VITC Vertical Interval Timecode and generate LTC Longitudinal Timecode. V-Multi-V - includes both up, down and cross conversion and a 4 field standards converter. Fantastic for placement on deck SDI inputs, so you always get NTSC or PAL into the deck. Use the cross converter to convert 720p to 1080i or 1080i to 720p so you can edit once and master in SD, 720p and 1080i video.